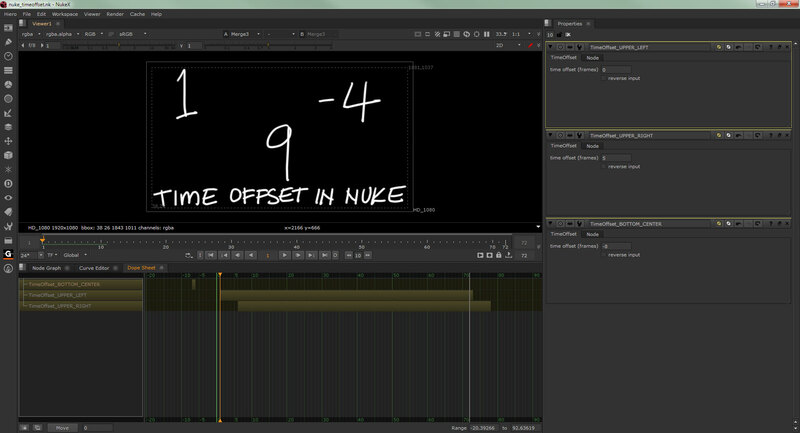 This should fall under the most basic skill that any Nuke compositor should know. Once in a while, it’s time to go back to basic training! If anyone familiar with After Effects or Premiere Pro layer based timeline, it is pretty intuitive to visualise if one need to adjust the timing position in relative to another clip. In Nuke case…. your primary timeline indicator is at the viewer which by default show the Global range set in the Settings. To have a similar view like in AE, you need to switch to the Dope Sheet tab. I’m unsure what’s going on with the top most TimeOffset bar but it is working. Just another glitch in Nuke I guess. 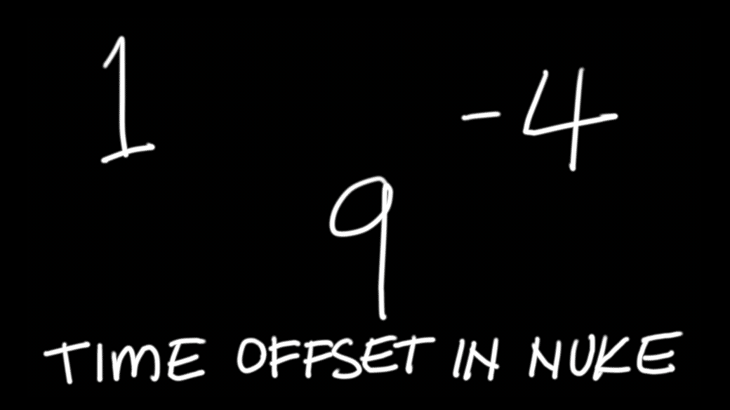 So the basic idea of TimeOffset is to offset a footage. For example if you are compositing elements from stock footage which have varying duration, TimeOffset will help you to align the elements in your timeline. If you need to delay something, use positive values. You will use this a lot. For the opposite, use negative values. Useful if you have a shot where the explosion already started at the beginning of the shot. As usual, here is my sample Nuke script for your exploration. Play around with actual footage to see how TimeOffset works! Grab the ZIP script here (10.1 KB). Edit: Woops I noticed the 600KB of script is too much for Crayon Syntax Highlight plugin to work properly in both Firefox and Chrome. I’ve attached the Nuke script as to lighten the load of the page.